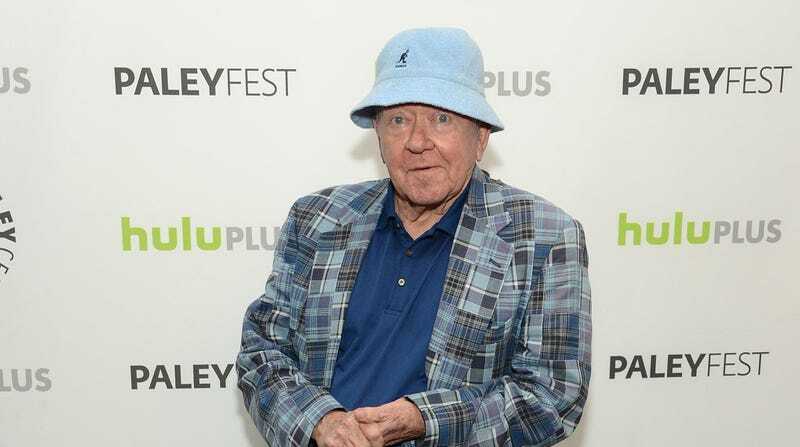 According to film historian Alan K. Rode (via The Hollywood Reporter), actor and director Richard Erdman—who held more than 170 acting credits but is best known these days for the recurring role he had on NBC’s Community—has died. No further information was given, other than Rode saying that Erdman died within a few hours of when he posted about it on social media. Erdman was 93. Born in Oklahoma in 1925, Erdman acted in his high school’s theater program and was encouraged to try his luck in Hollywood by a stage director. One of his first roles was in Casablanca director Michael Curtiz’s Janie in 1944, with THR saying that Curtiz was so impressed with Erdman’s work that he immediately got him signed to a contract with Warner Bros.—even though he was just 19. Though a joke about Erdman’s Community character being one of the original Little Rascals wasn’t true, the real Erdman’s actual career was just as long and storied as that joke implied. He frequently popped up as the wisecracking buddy of the main characters and (like every other actor in the ‘40s and ‘50s) as a soldier, famously appearing alongside Marlon Brando in The Men and as the stuff barracks chief in Stalag 17. He also appeared in Tora! Tora! Tora! and Cry Danger. Erdman also starred in the iconic Twilight Zone episode “A Kind Of A Stopwatch,” in which a man named McNulty gets access to a watch that can freeze time. He naturally ends up misusing it, and in the practice of robbing a bank, he ends up breaking the watch and is left unable to resume time. In the more recent decades, Erdman continued primarily working on TV, popping up in a lot of smaller roles and in a handful of animated shows. To modern audiences, though, he’s easily best known as the elderly “Hipster” college student Leonard on Community. Erdman’s Leonard was a force of chaos at an already chaotic campus, popping up to blow a raspberry, take the core characters down a peg, or to review frozen pizzas on YouTube.